We all want to spend our day as productively as possible. However, the investment for next day begins the previous night. Sound sleep is extremely vital to re-energize your body for another day of work. But many of us ignore this aspect - we sleep less and less. Some fancy working late night, while others kill the night partying, watching movies, drinking till early morning hours, not giving our body and mind the much-needed rest. Sleeping patterns vary from person to person: some can doze off anywhere, while others are very particular, they need proper room with lights off, no sound and no disturbance. Some suffer from sleep depression despite having all the facilities and luxuries in life. Sound sleep is also a factor of good mental health, keeping oneself positive and free from stress. The mattress on which we sleep makes crucial difference between a sound sleep and an ok-ok sleep. Investing in a good mattress is an investment in yourself. It helps you relax better, get great sleep and have a more energetic, productive day tomorrow. Mattress is one item on which you and your family will be spending lots of quality time, roughly one third of your day is spent in the bedroom. No other place/accessory gets so much of your and your family’s time (may be other than smartphone!). Thus it is crucial to have a right mattress in our homes that help us sleep without worries, maintenance issues or potential health and hygiene concerns. I recently came to know about SleepX, who are selling nano technology enabled, high-tech mattresses and bed essentials, which can be a welcome change to your bedroom and change the way you rest. 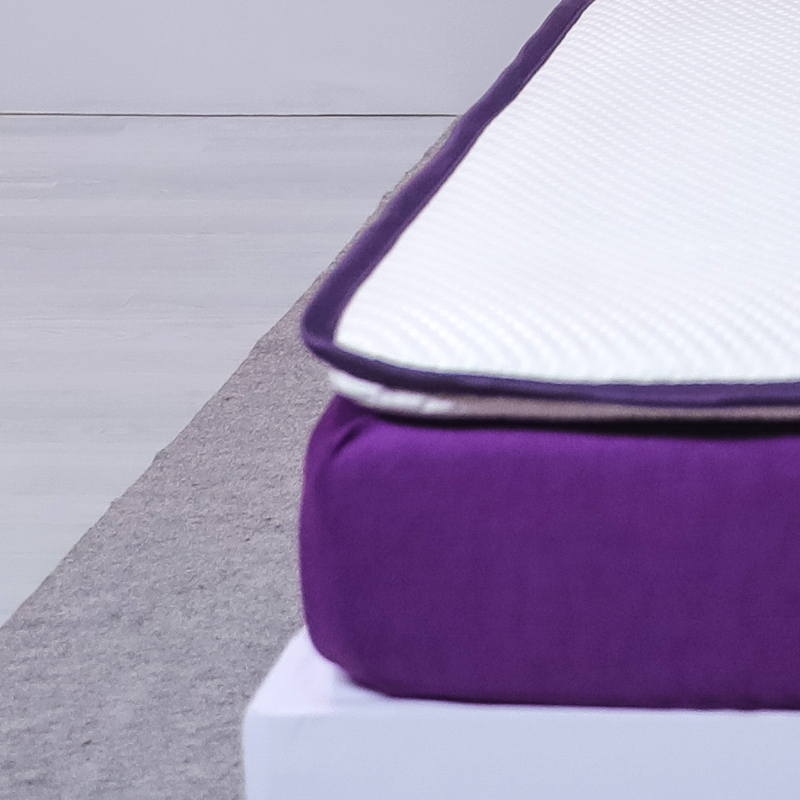 SleepX’s Fusion Mattress claims to come with some revolutionary features not known to be present in competition brands. 2. Treated to keep dust mites, fungi, bacteria away and keep the bed and its occupant healthy and hygienic. SleepX calls this Health Fresh Technology. SleepX also sells other bed essentials such as the Smart topper, Super Sheet, Adaptiv Comforter that have multiple cool features. Adaptiv Comforter is a blanket with removable inner layer, making it flexible for different weathers. If it is too cold you can use one comforter inside the other and if it is warm, just use breathable outer layer. Smart Topper is a spill-repellent, anti-bacterial, anti-allergen mattress topper powered by nano-technology. This detachable layer makes your mattress more comfortable and durable. The Smart Topper is about 1.5 inches in thickness and can be used on top of any existing mattress. It extends the life of your current mattress as you don’t have to buy a new one when it goes out of shape or gets old. Super Sheet is a bedsheet, but a super one. SleepX’s Super Sheet is wrinkle free, easy to clean, dries quickly, and is an easy to tuck sheet made from stretchable performance fabric. Flexi Pillow is a pillow-in-pillow concept. The inner pillow offers firmness while the outer pillow offers fluffiness. It’s gentle on the skin, retains its shape and is washable. SleepX mattress price range begins from about INR 11499 onwards for single size. King and Queen mattresses cost 18-22k onwards, depending on size. They are available in multiple sizes, firmness etc. Even custom size is possible. Do check on sleepx.com. You can check if they serve your pin code and then order online. So what are you waiting for? Go ahead and become a #ANewYou by getting a SleepX mattress now! Disclaimer: I’ve not personally used or tested the sleepX mattress and its accessories. This post is based on information available in public domain about the sleep x products. Sound sleep is necessary for the proper functioning of our body. Lack of sufficient sleep can cause many health disorders. It can result in increased stress. Though everyone know about the impact of less sleep hours, no one take it seriously. Others who wanted to have a sound sleep face certain sleep disorders.I hope the SleepX mattress whose details are provided here will be very helpful for such people.